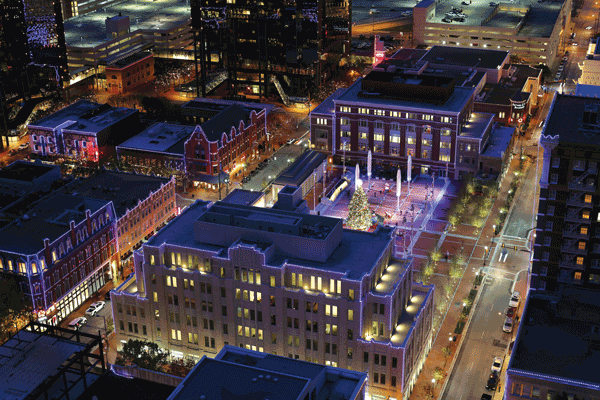 Sundance Square is a 3-block pedestrian area in Downtown Fort Worth. The lighting, acoustics, fountains and more all make for incredible ambience. It is surrounded by excellent bars and restaurants and walking distance from several great hotels. This is a perfect place to spend the evening for a date night or family fun. There is always great entertainment from various live bands, to clowns walking around and even stilt walkers, and much more!. Many different events take place year around which can be found on their website at www.sundancesquare.com. Be sure to check it out!